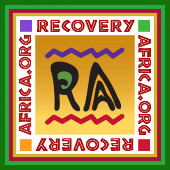 On retiring in Ghana in 2005 the founders of Recovery Africa (RA) began nurturing the idea of establishing an organization to promote 12-step and other types of recovery in Ghana. With the assistance of people in recovery, efforts were made to carry the 12-step message. Ghanaian professionals assisted in organizing training on the medical aspects of addiction and treatment. The Hopeful Way Foundation was registered in September, 2008, and a group of professionals and others in the U.S. began mobilizing financial and technical resources. The House of St. Francis (HSF): In September 2012, RA established the HSF and managed it for three years. Over 200 clients have passed through the three-month residential treatment facility. The HSF is considered by professionals to be one of the best facilities in Ghana. Oxford Houses: In 2009, established the first house. There are three additional houses, including one for women. Over 100 residents since 2009. A new women's house is being planned. Recovery Ghana Consortium (RGC): In September 2014, RGC was created to help build a Recover Movement in Ghana. Forty organizations and individuals are members. Twelve-step groups established: Since 2006 has provided encouragement, literature and guidance for 15 groups. Professionals to Ghana: Since 2007 brought ten professionals to Ghana to assist with training and implementation of programs. Student visits to Ghana: Since 2012, thirty university students in recovery have traveled to Ghana. Healthy Living Group: In 2014 established a healthy living group in support of objectives of HSF and Archdiocese of Accra. HSF Medical Detox: This opened in December 2016.